This tutorial explains how to migrate multiple WordPress installations into one new WordPress multisite. You can migrate sites that are using their own domain, as well as sites using a subdomain on your main domain. Jednoznačný mercedes mezi jazykovými pluginy, opakovaně osvědčený (např. na Jetíkovi a Novatopu. Turns a single WordPress install into a multilingual site. Professional translation, connecting expert translators with site owners (optional, you can translate yourself for free). Translations are grouped together and not mixed in the database. CMS navigation elements provide accurate and easy to use site-wide navigation. Simple CSS for easy customization. Try WPML's CSS customization tool. !!! Při potřebě přebírat stávající obsah (custom fields, galerie) popis řešení zde . You write posts, pages and create categories and post tags as usual, and then define the language for each of them. The translation is optional. You can have as many languages as you want. You can translate posts, pages, media, categories, post tags, menus, widgets... Custom post types, custom taxonomies, sticky posts and post formats, RSS feeds and all default WordPress widgets are supported. Customization is the No. 1 design goal, after all that's probably the reason why you want to setup a multilingual blog. The language configuration combination is highly customizable to facilitate multiple fallbacks. Every UI is extracted out, which could be optionally overridden by theme design without touching the plugin file at all. qTranslate supports infinite languages, which can be easily added/modified/de­leted via the comfortable Configuration Page. All you need to do is activate the plugin and start writing the content! qTranslate Plus is an unOfficial modified version of qTranslate (created by Qian Qin) created to be compatible with WordPress 3.9 or highter. Bogo is a straight-forward multilingual plugin for WordPress. Assigns one language per post. Bogo does not create any additional custom table on your database, unlike some other plugins in this category. This design makes Bogo a solid, reliable and conflict-free multilingual plugin. xili-language provides for a bilingual (or multilingual) website an automatic selection of language (.mo) in theme according to the language of current post(s) or page. 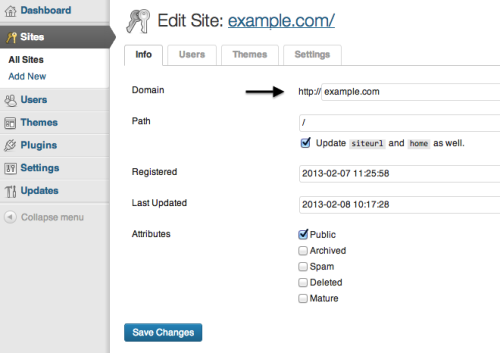 Theme's behaviour can be fully personalized through settings, hooks and api. A simple, powerful and easy to use plugin that will add multilingual support to a WordPress multisite installation, i.e. multiple subdomains or folders (if you need to set up multiple sites across multiple domains, you'll also want to use the WordPress MU Domain Mapping plugin as well - as long as the domains are all hosted on the same server).